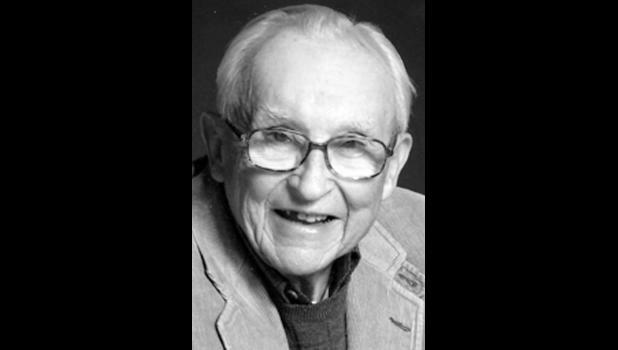 William Witt “Bill” Barnes, farm boy, veteran, child psychologist, and ladies’ man‚ died on Holy Saturday, April 4, 2015, surrounded by the love and prayers of his family and priest. He was born April 14, 1926, on a Kansas ranch near Holton, the only child to Dee Etta Witt and William Amos Barnes. Little Billy Witt rode his horse Daisy to a one-room schoolhouse and loved his first teacher, Miss Nellie Morrissey. She gave him straight A’s, which clearly made her a good teacher by his estimation. His parents taught him well: live within your means, work hard, and help those in need. Bill enlisted in the Army in 1944 and served in Europe during WWII. After the war, he moved to Japan to work for General Douglas McArthur, a plum assignment. He was baptized in the Pacific Ocean and married Norma Jones, a smart woman who encouraged him to go to college. Bill loved serving his country and traveling the world. In fact, after being discharged from the Army, he found civilian life boring, so he re-enlisted, joining the Air Force to learn how to fly. He fought in the Korean conflict, serving 15 years between the two branches and two wars. His service was included in the Notable Veterans Exhibit at Camp Dodge. He lived in Tampa, Fla., where he earned a degree in pre-med and bought land in Cuba that Fidel Castro seized. He returned to the Midwest and received a master’s degree in psychology from Nebraska, where he also taught. (He would later earn a second master’s from Drake in public administration.) He met Mary Kathleen Vinton at Glenwood State Hospital where they both worked. She was a classy lady and a prankster with an irresistible zest for life. (His words, not ours.) They started a 45-year marriage, filling their home with all the fun and epic battles that go along with raising four daughters. When the recession of the late 1970s hit, Bill drew on lessons learned during the Great Depression and moved his family to an acreage near Madrid, Iowa, to live off the land. He raised livestock, sharecropped and planted two huge gardens. He taught his kids how to pull calves, dock a spring lamb’s tail and eradicate possums from the hay barn with a 2x4 and a hay hook. He was a New Deal Democrat before all else. If you were a Republican, he couldn’t figure out why. He loved the sun on his face, hard work, livestock, his dogs, watching the History Channel, flirting with pretty ladies, storytelling, wartime weapons, going to Saturday afternoon Mass and pie. He was fiercely protective of his girls. Bill hated liars and laziness, and he was stubborn, a trait that he passed along to his daughters, along with his chin and nose. Bill served on parish council, was a member of St. Malachy’s Men’s Club, and the Boone County Fair Board. He was a 4-H leader, a CCD teacher and a volunteer ambulance driver. He will be missed by his wife Kathleen, daughters Kathy (husband Chris Nigg, children Aileen, Donovan, and Owen of Des Moines, Iowa), Shannon (children Izabelle and Elleana Meier of Madrid, Iowa), Mardi (husband Richey Thongvanh, children Isaac and Lillian of Des Moines, Iowa) and Meg (husband Steve Tvrdik, children Patrick, Adeline, and Josephine of Pleasant Hill, Iowa). He was preceded in death by his parents and his first wife. Visitation will be held from 5 p.m. to 7 p.m. Thursday, April 9 at St. Malachy’s in Madrid, Iowa, with a prayer vigil to follow. Mass of Christian Burial will be held at 10:30 a.m., Friday, April 10 at St. Malachy’s. In lieu of flowers, memorial contributions can be made to St. Malachy’s or the Madrid Library.